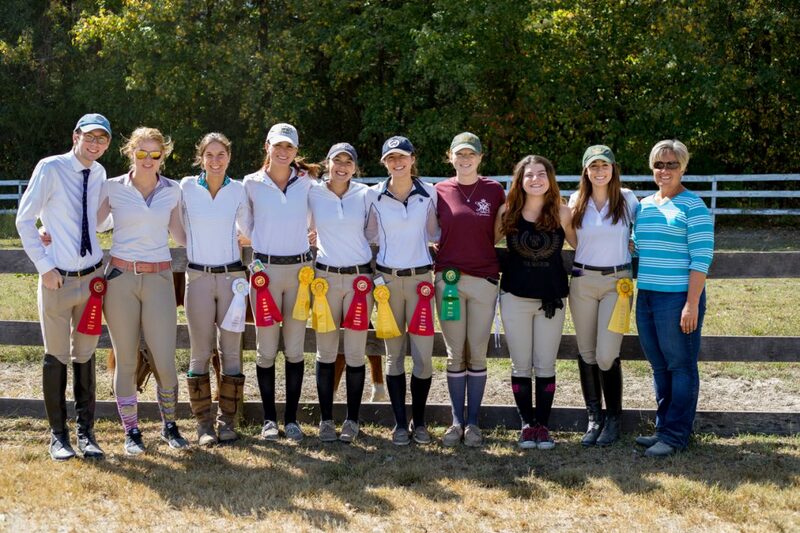 The College of William and Mary has almost every club, team and organization a student could ask for. Tour guides talk about the infamous Cheese Club and the spirited Quidditch Club during tours of the College. However, that is not the full extent of what the College has to offer. Perhaps less known to the campus community: William and Mary Equestrian. The team is a tier-one sport which gives it a huge budget, but comes with a rigorous training schedule and more mundane tasks like budget meetings. Their list of duties seems to be never ending, especially considering that they must also balance other activities and academics. Team Captain Logan Bishop ’20 explained her own role in the organization. Bishop continued by describing the dedication that Equestrian Club requires. “I would say that a lot of people don’t consider it a sport, but you have to consider that it takes not only a lot of physical strength — like core strength — but it’s a mental game as well,” Bishop said. “You’re constantly thinking about your position, the horse’s form, your pace, your horse. There are so many things that you have to think about. Not only do you have to think about yourself and your nerves, but your horse does pay attention to how you’re feeling. They can detect nerves, so you do have to control your own horse. Bishop said the equestrian team is often underrated as a sport. These students are willing to spend countless hours at work with their teammates and animals, but many study history, biology and business — all subjects completely unrelated to horseback riding. The team members are not simply a part of the team in order to gain job experience; they devote their time to this organization because they are passionate about it. Despite the long hours, the majority of the student body and faculty are unaware of the club’s presence. Parciak does not seem too bothered by the small following either. “I think a lot of team members’ friends and boyfriends and girlfriends attend [competitions], but I don’t think we get a lot of recognition on campus,” Parciak said. On a more serious note, Bishop disclosed that William and Mary Equestrian is still not recognized by most students.